This exhibit features two portfolio series by world-renowned 20th-century artists. 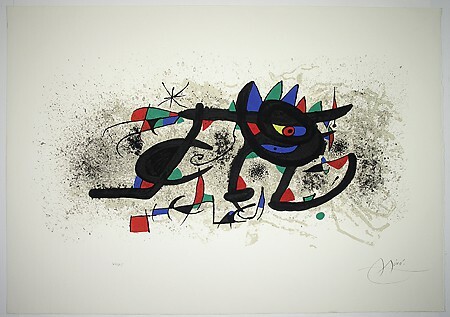 Joan Miró’s Gravures Pour Une Exposition is a small series, but was made specifically for the 1973 exhibition Miró paintings, gouaches, sobreteixims, sculpture, etchings at the Pierre Matisse Gallery in New York City. Featuring etchings, aquatints, and lithographs, the series demonstrates Miró’s mastery of the printing process which he uses to explore the world of line, shape and color. 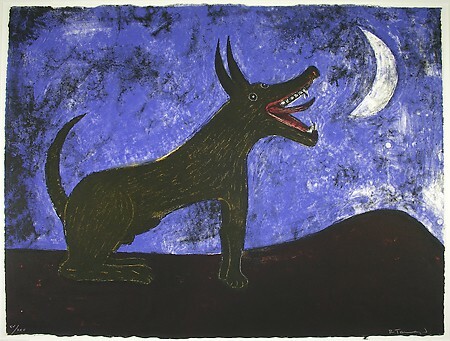 Celebrating five centuries of graphic art in Mexico, The Mexican Masters Suite features a series of color lithographs by Rufino Tamayo, Francisco Zúñiga, David Alfaro Siqueiros, and Jose Luis Cuevas. Each with drastically different styles, this series includes references to pre-Colombian symbolism, exploration of the human figure, and themes of degraded humanity. These are just two of the five outstanding print portfolios that were donated by the Glickmans. The others are: Marino Marini’s From Color to Form, Sunol Alvar’s Suite Biblique, and Victor Vasarely’s Hommage a L’Hexagone.